Fluid-o-Tech believes in the relationship between business and university and stokes this belief through the most diverse forms of collaboration. Universities are rich in knowledge, technology and people that can bring about great value if put in contact with the company and the market. 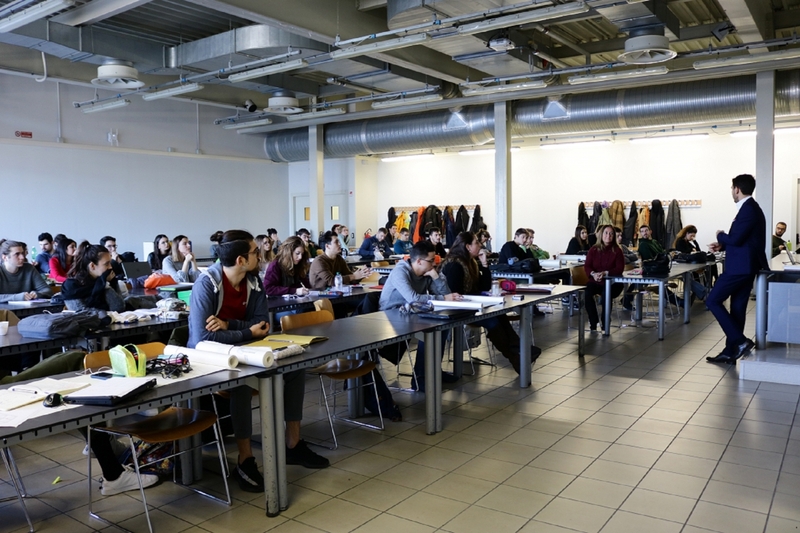 There has been collaboration with the Department of Design at the Politecnico Di Milano since 2013, specifically within the Final Synthesis Laboratory of the third year of the Industrial Product Design degree course, aimed at encouraging students to participate in technological and market challenges. The goal is to produce and receive incentives, checks and insights on the possible use of our technologies in an area of great transformation and which young people are able to understand with extraordinary ease. "In an ever-evolving field, innovation models must continually adapt," says Diego Andreis. In collaboration with F-Lab and Dolphin Fluidics teams, every year we assign a brief, we share the guidelines and technological constraints that the student has to make their own and which then become a project opportunity: the design process begins just like it would in a simulation of professional clients and basic and applied research activities are applied in stages and on different levels, from cultural to economic, from ergonomics to the study of materials, from the study of target end users to the verification of feasibility, we end up with a project proposal that is shared between academic teaching and corporate contacts.